Easter is on the way, and there are plenty of special events and dining promotions planned from Doha’s hospitality industry. As always make sure to call and double-check all details (including prices, and any terms & conditions) as venues may amend promotions and deals at their discretion. If you want more information regarding childrens activities, or have food allergy requests then do contact the venue directly. If you are interested in attending an Easter Brunch or special easter event then be sure to book in advance. WHAT: Easter Brunch buffet at The Square, with lamb carving carving station and Kids Buffet. Kids activities start from 2:00pm and include bouncy castle, egg hunt, and face painting. WHAT: Easter Brunch buffet with international favourites and themed Easter treats. Egg-citing children’s activities at Sharq Village’s Easter Brunch include Easter Egg hunts and crafts. WHAT: It’s a Easter-themed brunch at Rotana with traditional favourites and seasonal surprises. 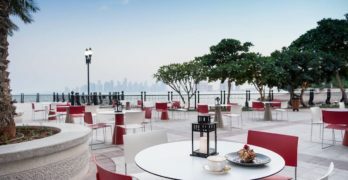 PRICE: QAR 249 with soft beverages | Additional QAR 80 for shisha brunch package at Zeituna restaurant. WHAT: The St Regis Grand Brunch has gone Easter themed with food stations and pop up beverage areas. Pre-payment required by 23rd March. Book ahead. PRICE: Various packages dependent on date booked; prices range from QAR 250 – 450. WHAT: Easter Brunch Buffet at Hyde Park Coffee Shop includes a children’s egg hunt, and musicians. PRICE: QAR 170 with soft beverages | QAR 235 with selected beverages | 50% off for kids aged 6-12yrs | Under 6s dine for free. WHAT: Celebrate Easter brunch at La Veranda with kids activities such as egg painting, and egg hunting. WHAT: Enjoy an Easter Buffet at Sawa with live cooking stations and children’s activities including egg decorating and treasure hunting. WHAT: Celebrate Easter at The Farmers Brunch with international favourites and dessert station with Easter treats. Children’s activities include egg decorating, egg hunting, face painting, a bouncy castle, and farm game. WHAT: Easter celebrations at Quick Bites includes Easter egg decorating and egg hunting. Prior registration required. CONTACT: +974 4419 5000 or email [email protected]m.
WHAT: Enjoy Easter at Coral with an Easter brunch that includes children’s activities including egg hunting and face painting. Or enjoy a Lebanese Easter Brunch at Gemmayze. PRICE: Coral: QAR 395 with house beverages | 50% off for kids aged 6-12yrs. Gemmayze: QAR 195 with soft beverages..
WHAT: Easter Brunch buffet at Mawasem restaurant, with international favourites, grills, and kids corner. WHAT: The Big Easter Brunch at Choices Restaurant, with an Easter kids zone. PRICE: QAR 270 with soft beverages | QAR 350 with selected house beverages | Kids aged 6 – 12 dine for QAR 85. WHAT: Santa Monica Breakfast Club presents an Easter themed brunch with live cooking stations, and entertainment, including children’s Easter activities..
WHAT: Eataly at Mall of Qatar and Doha Festival City will celebrate Easter with eggs painting, Easter bread making and a chocolate eggs hunt party. 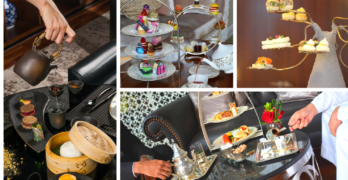 Have you checked out our Ultimate Guide to Doha’s Best Brunches? Celebrate Women’s Day with these promotions! Doha’s Christmas Dinners and all those festive New Years events! Ready for a Thanksgiving Celebration?